iBeacons are a relatively new technology that provides proximity-based interactions at specific locations. Retail, manufacturing, and facility-planning sectors are currently deploying beacon technology. iBeacons allow the connection of the internet with everyday life and are a part of the Internet of Things (IoT). Gartner, Inc. estimates that in 2020 there will be 26 billion IoT connected objects in use, generating more than $300 billion in revenue. 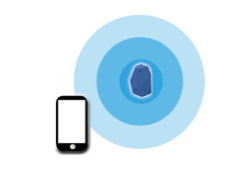 Devices in range of the iBeacon receive the signal and process it as designed. The devices could be smartphones, tablets, or any other device capable of receiving a Bluetooth signal. 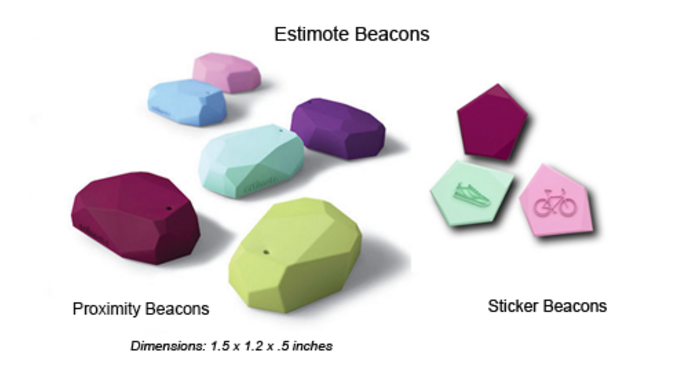 iBeacons help a device figure out what’s nearby and what it can talk to. iBeacons extend the already existing GPS services now enabled in smart technology devices and provide more detailed proximity detection. Where a GPS can provide a location based on its address, iBeacons provide a location based on a specific geographic position. The ranges can vary based on iBeacon signal strength and type. The processing of the signal triggers a customized event tailored to a specific item or place. For example, the user might be provided with more details about the location, or some other kind of related content, or media, or an interactive challenge, assessment, or reflection. The number of ways iBeacons can be used is unlimited, and developing sound instructional strategies is key for end-user engagement. The next level of deployment involves the use of an iBeacon Management Platform for set-up and for monitoring a fleet of iBeacons. This system has analytic functions to monitor end-user interactions with the iBeacons. iBeacon apps can be integrated with content management systems to dynamically deliver, modify, and analyze content usage. Most are cloud-based subscription services and work with any Bluetooth beacon regardless of the manufacturer. iBeacons provide access to a world of knowledge and can guide people through a physical environment. iBeacons and proximity-based learning have incredible implications for education and training. I am personally very excited about using iBeacons to tie digital content to the physical world and developing incredible, active, learning experiences. I’m always interested in knowing what my readers are working on, so keep me in the loop, and we can design together. Can you think of any other applications for iBeacons? We want to hear your thoughts; let us know in the comments below!